Trying to book a Florida holiday and looking for October 2019 Orlando flights? We have fares for the popular carriers including Virgin, United, BA and Norwegian. 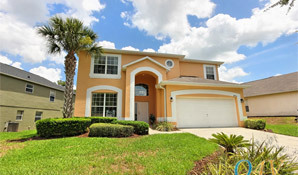 Combine with car hire and accommodation for great-value Florida package rates. For more information, call us on 01934 319 851 or complete our online enquiry form. All of our October 2019 Florida flights and holidays are ATOL and ABTA protected. Book with a small deposit. Balances are due 90 days before departure. Can you fly in the first 10 days of October? Early October prices are excellent. Fly direct from Gatwick or Manchester. But beware Glasgow departures – the Scottish half-term is a busy time. Book early to avoid high prices. Looking to fly half-term October 2019? Beware the weekends of 18-19 October and 25-26 October. Friday and Saturday departures are expensive. It’s not too difficult to cheat. Fly Monday to Thursday for a big discount even if the half-term week is included in the holiday. Stuck with the big departure dates? Can’t avoid the half-term weekends? A one-stop flight solves your problems. For best value fly from Heathrow. No need to worry about flying indirect. An 8am departure from Manchester or London arrives in Florida around 5pm and no immigration formalities to complete either. You did that on the way. Can you leave in the last couple of days of October 2019? Flights are cheap. Avoid the weekends. Fly on a Tuesday or Wednesday for the best value October 2019 Florida flights. Fly indirect from Heathrow on peak dates. One change en route adds a few hours to the journey, but savings can be significant. If you’re flying from Manchester late in October, return flights will be busy. Fly direct outbound but fly indirect on your return to save money. If Orlando flights are hard to book in October 2019, Tampa may offer a cheap alternative. Sometimes much cheaper. Let us know if this is an option for you. Heathrow has the most departures so flight prices tend to be very competitive. A great-value October fare is possible even on peak dates if you depart from Heathrow mid-week. Manchester, Glasgow and Edinburgh also offer indirect flights at a decent price. If you prefer to fly from your local airport, we book connecting flights for a small charge. Newquay, Exeter, Isle of Man, Aberdeen, Belfast and Jersey all have convenient schedules. Customer satisfaction is very important, so we don’t compromise on quality – we book our Florida flights with reputable airlines. Virgin, United and British Airways are popular choices. Norwegian offer great fares and have a beautiful modern fleet. So how do we achieve excellent fares? As soon as flights are released, we monitor fares daily. When your flight is available at the best fare, we book your seats. Years of experience help us identify the optimum time to book. Book your October 2019 Florida flights early to give us the best chance to achieve an excellent fare. How much are you expecting to pay for October 2019 Orlando flights? High street prices of over £1000 per seat are common. Follow our tips below and you could achieve fares of £450 per adult and £350 per child – even on peak half-term dates. We’re already taking bookings for October 2019 Florida flights so don’t delay. Combine flights with car-hire for a great-value October 2019 Florida fly-drive. Even better, add a hotel room or villa for an excellent package rate. Book now with a deposit of £100 per person. For more details, call Alex on 07944 584 659 or complete our online enquiry form. All our October 2019 Florida flights and holidays are ABTA and ATOL protected.